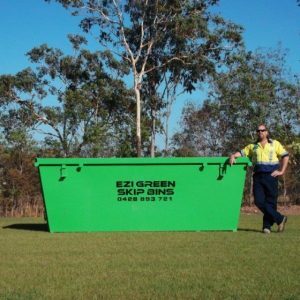 First 1500kg are included (excess weight charges will apply at current Darwin City Council rates). 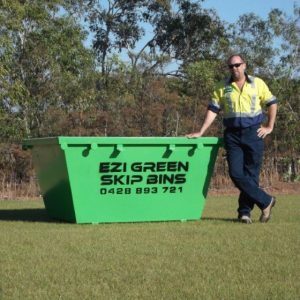 Price includes standard 4 day hire, for Darwin & Palmerston only. Delivery to rural areas are extra, please call first if you are not sure if this . PLEASE NOTE: We do not deliver on weekends unless pre-arranged. 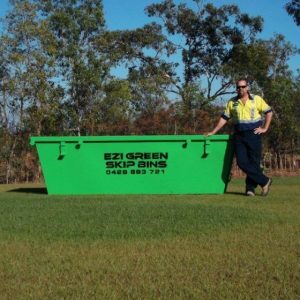 We do not deliver on the same day of order unless pre-arranged. 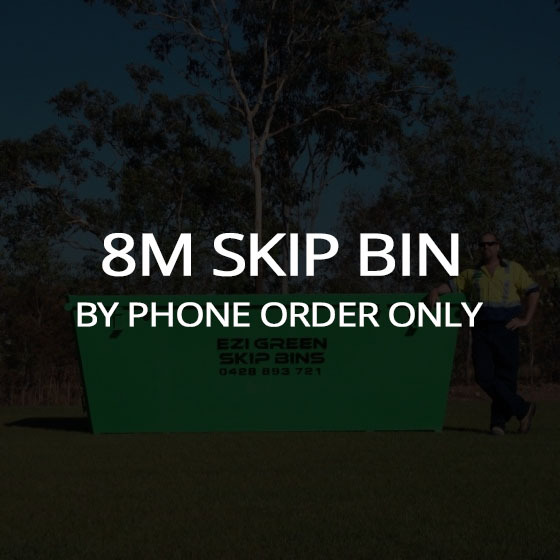 The 8 Cubic Meter Skip Bin is your perfect solution to cleaning up Large areas.